Press the button. Push yourself. Test your nerve with The Ready for Anything? Challenge. With an opportunity for 6 lucky contestants and a celebrity guest host, why not come on over and join the fun using our Snapchat filter and share your experience with @theaa_careers on Twitter and @theaacareers on Instagram! Find us at Rotunda Square at 12:00! 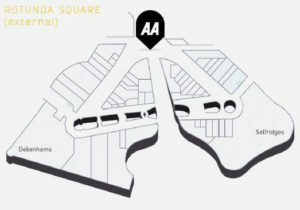 Interested in what the AA has to offer?